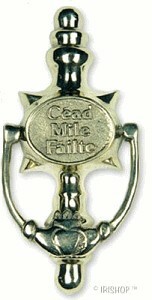 Give your home an Irish Welcome...... right on the front door ! " 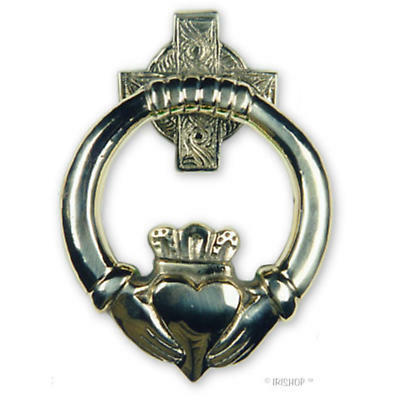 A Hundred Thousand Welcomes " Brass Doorknocker, incorporating the traditional Claddagh design, symbolizing Love, Friendship and Loyalty. Comes in lovely green Presentation Box.